When you choose your categories, ask yourself, do they make sense, and do they fit into the objectives of my business? 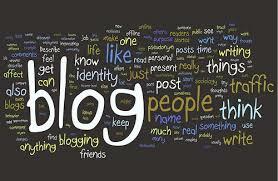 Having clearly defined blog categories will help youcontinue generating meaningful content and topics for your blog. An example of how a post’s description appears in Google search results with and without the meta-description. ♣ Subheadings should be H2s, sub-subheadings should be H3s, etc. ♣ Findable content includes: an H1 tag; at least two H2 tags; metadata including title, descriptors and keywords; links to other related content; alt tags for images. ♣ Readable content includes: an inverted-pyramid writing style, chunking, bullets, numbered lists, following the style guide. ♣ Understandable content includes: an appropriate content type (text, video), indication that you considered the users’ persona, context, respect for the users’ reading level, articulating an old idea in a new way. ♣ Actionable content includes: a call to action, a place to comment, an invitation to share, links to related content, a direct summary of what to do. ♣ Shareable content includes: something to provoke an emotional response, a reason to share, a request to share, an easy way to share, personalization.